OPTIX, a Bulgarian developer and manufacturer of a full range of special optical devices and systems for the army and police forces, became the main sponsor of the newest cabinet “Optical Laser Appliances and Methods” at the Bulgarian Defence Institute “Professor Tsvetan Lazarov”, announced the company. The specialized cabinet was opened on 23rd February as part of the patronal feats of the Institute – the 122nd anniversary of the birth of Prof. Tsvetan Lazarov. The ceremony was attended by the Deputy Minister of Defence Anatoliy Velichkov, the Permanent Undersecretary of Defence Anton Lastardzhiev, representatives of the Directorates of the Ministry of Defence, and Defence Staff and Generals of the Joint Forces Command and the Armed Forces. Eng. Mario Dimitrov, the Strategic Clients Manager of OPTIX, congratulated the attendees. 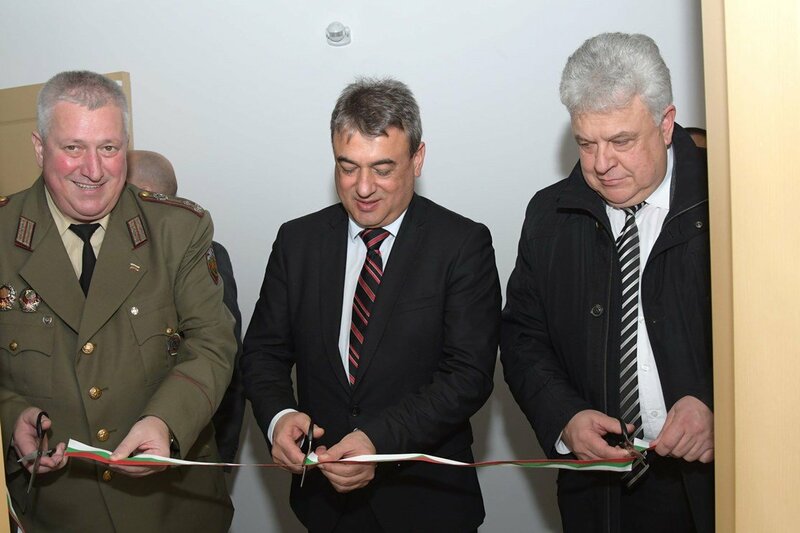 This is the first cabinet at the Bulgarian Defence Institute, established in cooperation with a Bulgarian defence industry company that also provided samples of various surveillance technologies. The Defence Institute “Professor Tsvetan Lazarov” is the main scientific-research, testing-design, and expert-technical structure in the Bulgarian Ministry of Defence.